Folks who have long been craving to revive the good ol’ days of tactical first-person shooter multiplayer games like Counter Strike will be glad to know that Breach might just be what the doctor ordered. Created by Atomic Games, Breach will bring us back to game types that include infiltrations, convoys, retrievals, team deathmatch, and sole survivor missions. Players will take the role of the CIA Special Activities Division, a secret organization carrying out covert operations for the US government. We also found joy in finding out that users can actually play as four different operative classes. The Rifleman Class is an expert at mid-ranged combat, thanks to its use of automatic rifles. The Gunner Class, with light machine guns, is slower but packs more firepower than the other classes. The Support Class can only fire in shorter ranges, but with a combat shotgun in his hands, a single shot alone can kill enemies. The Sniper Class is best used in long range combat, but the rifles they use do take time to reload. A fifth class – the Recon – is measured as a bonus. Considered as a hybrid between a rifleman and a sniper, this recon can be unlocked upon mastering the sniper and rifleman classes. Do so and be effective in both long and mid-range combat. Game weapons and gadgets are based on real-life black operations: bomb sniffers, sniper detectors, remote motion sensors, and the likes. You will also think of De Dust once you find out that M4A1s and MK14 rifles are included in the game. 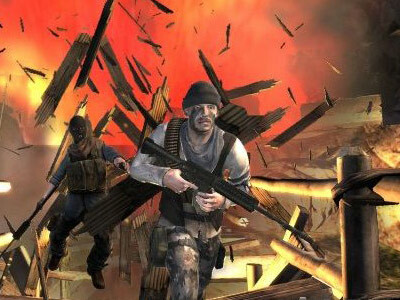 Breach also has a unique element called the Destructive Toolbox, a set of military tactics where players can make good use of the war environment by blowing out ceilings, punching holes through walls, shooting balconies, and everything else that would give your team an advantage. With an up-to-sawa gameplay and an awesome display of war cinematics, it looks like Breach is made to stick around our consoles and computer screens as much as Counter did in the past. Breach is now available for the Windows PC and Xbox 360 through the Xbox Live Arcade.